The complete turnkey installation consists of two Phases. 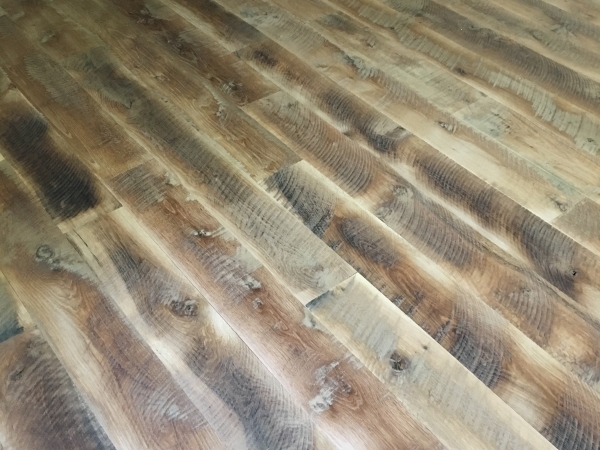 In Phase 1, we square cut all flooring board ends, lay out the flooring boards to ensure a look that meets with the customers’ expectations, then glue or nail the flooring boards to either a concrete surface or a wooden sub-floor. 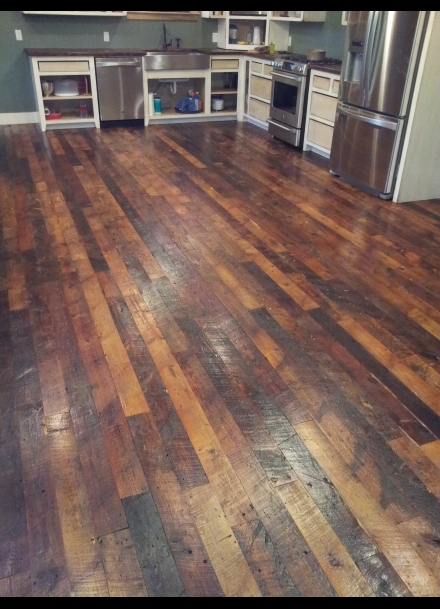 Next for Phase 2 we sand the flooring to make it smooth to the touch, apply the stain color of choice if applicable, ending with three coats of a commercial grade polyurethane. Each coat takes approximately 24 hours to dry depending on relative humidity. We require that you sign an installation agreement which you can download here. This installation agreement ensures that you know exactly what services we will provide for the installation price. We are occasionally asked to perform other services to make the slab or sub-floor ready to receive the flooring and we’ll gladly perform these services and the installation agreement is in place to address these extra services. If installing your flooring requires gluing it to a concrete slab then we use our own brand of glue to ensure the job comes out right. Our glue brand is called Green Earth and it is a glue manufactured exclusively for our company. It is an eco-friendly glue, it contains a moisture barrier, it is guaranteed for gluing up to a 10-inch-wide board, and comes with a 10-year warranty against cupping if it is applied with the suggested sized trowel. Click here to get the full specs.